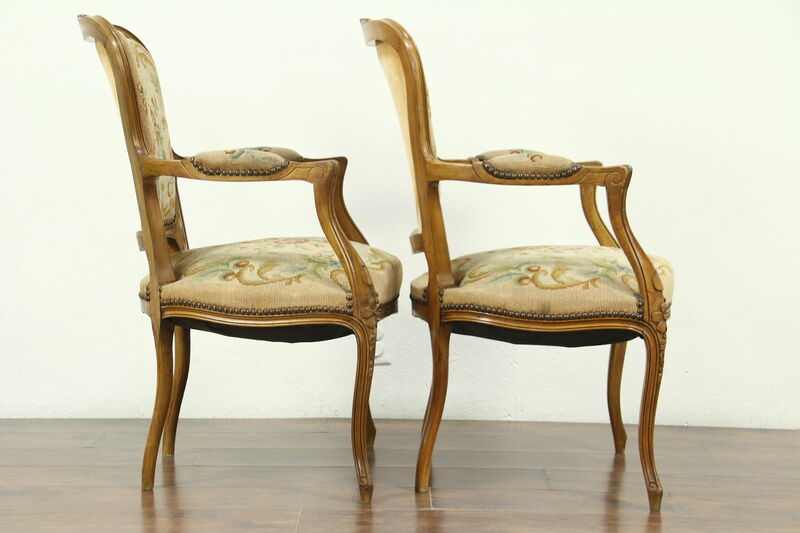 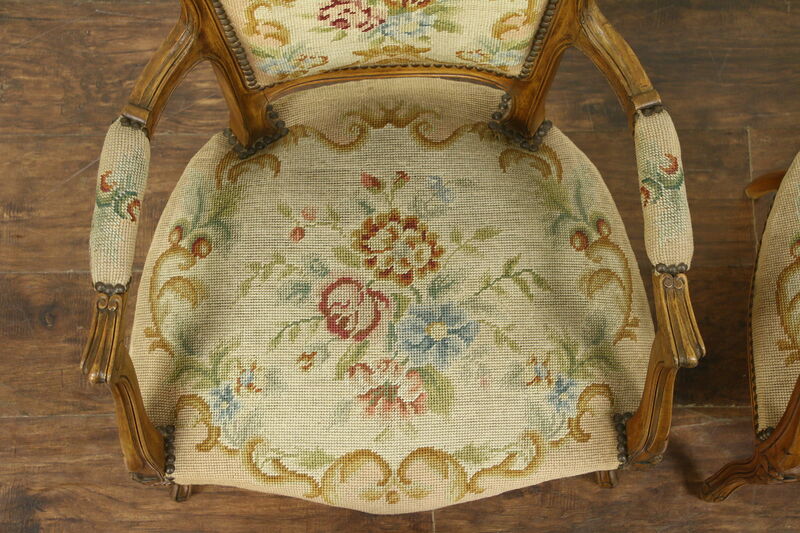 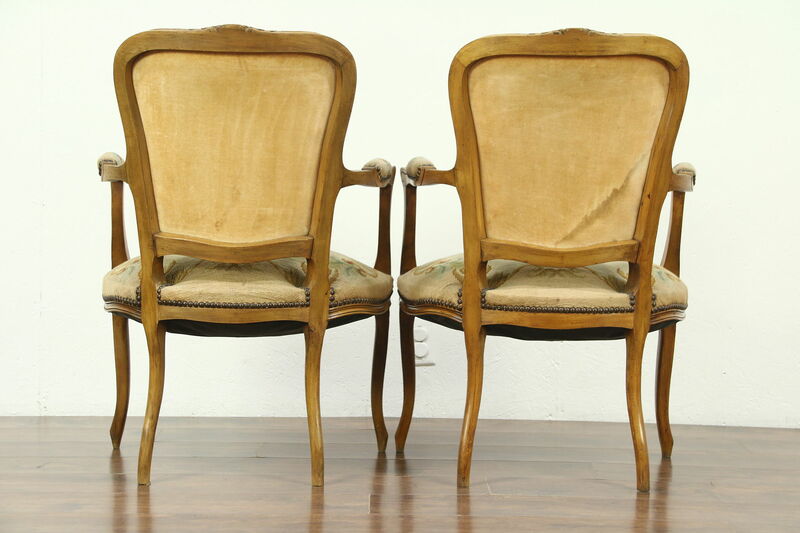 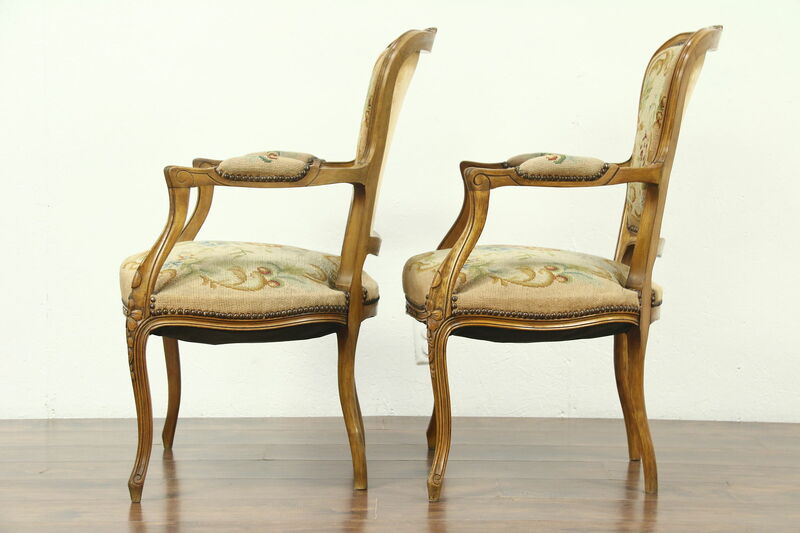 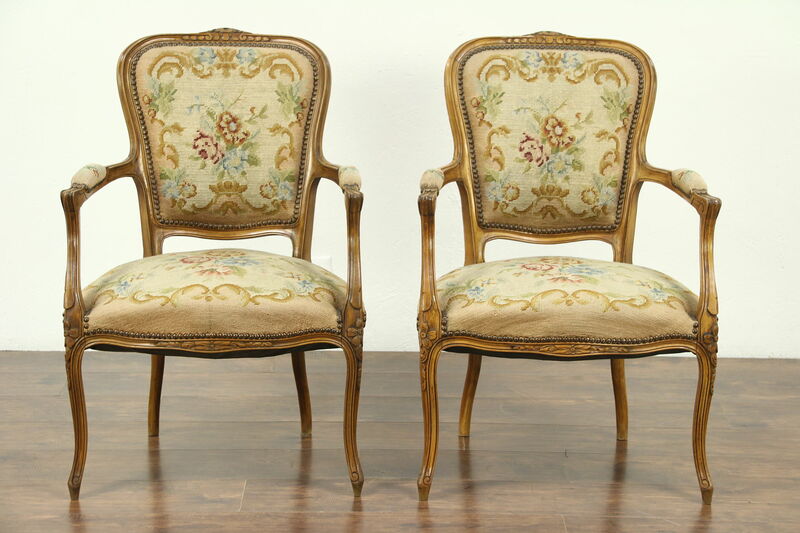 A pair of hand carved beech armchairs from the 1920's have old genuine hand stitched needlepoint upholstery with brass nail head trim. 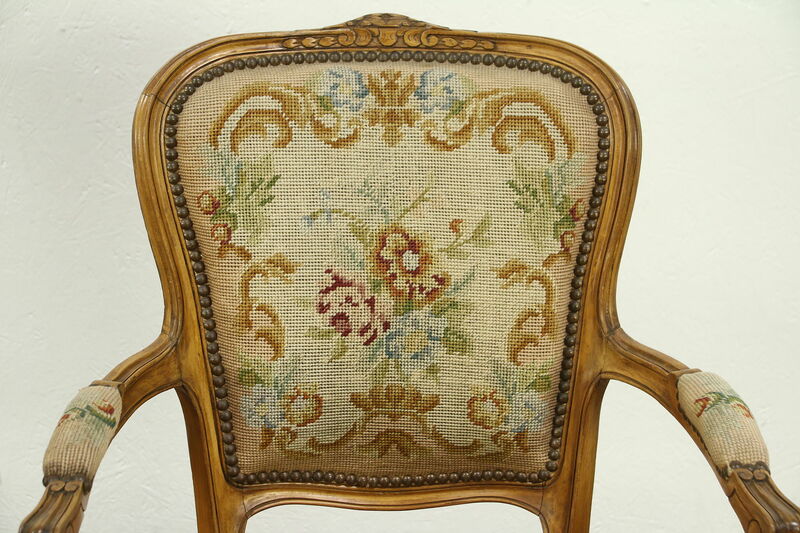 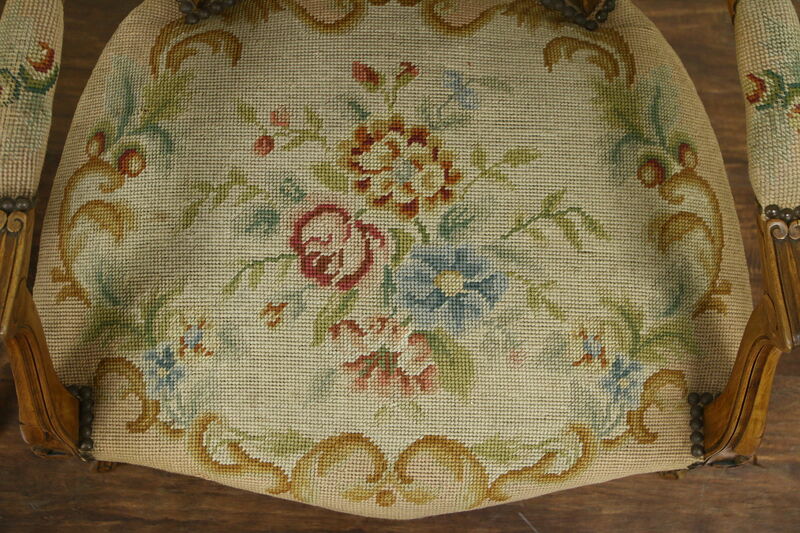 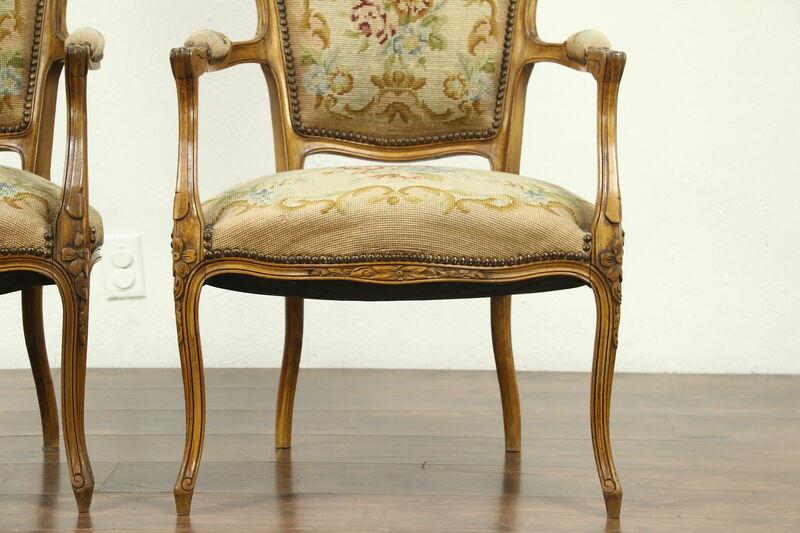 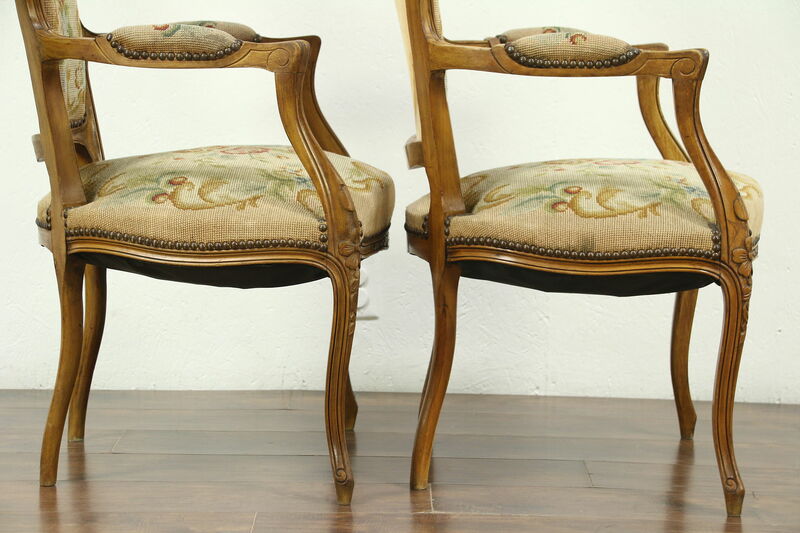 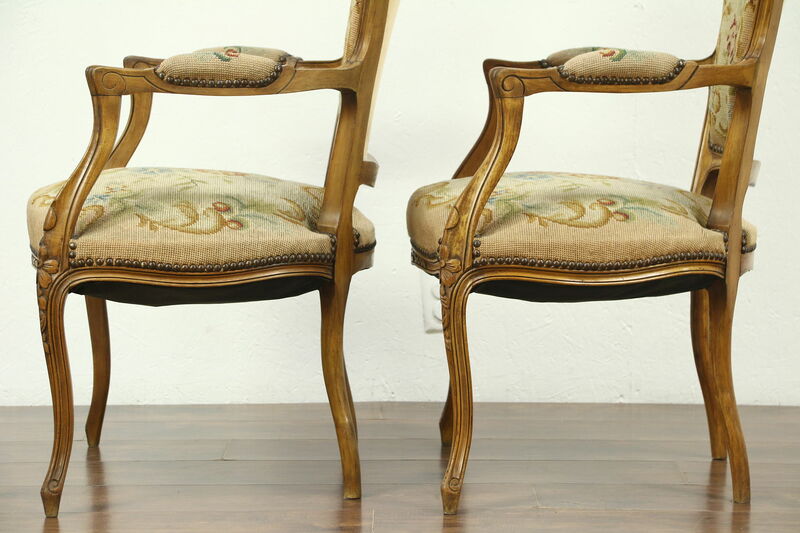 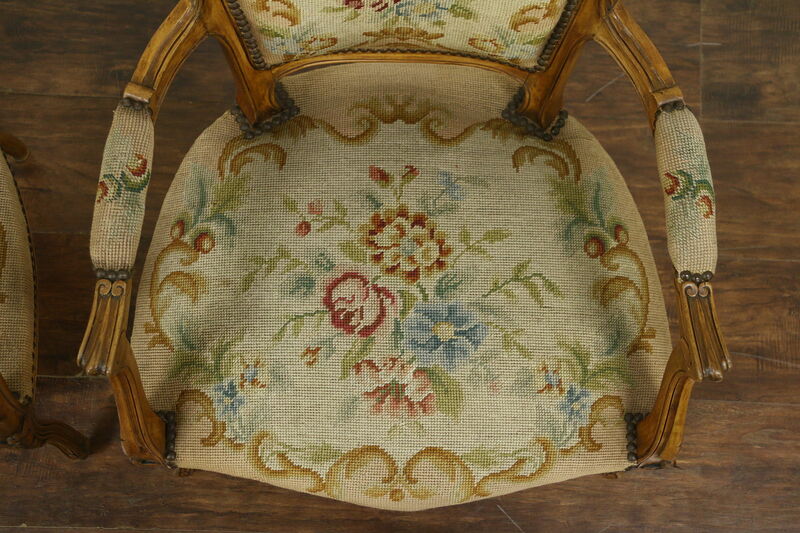 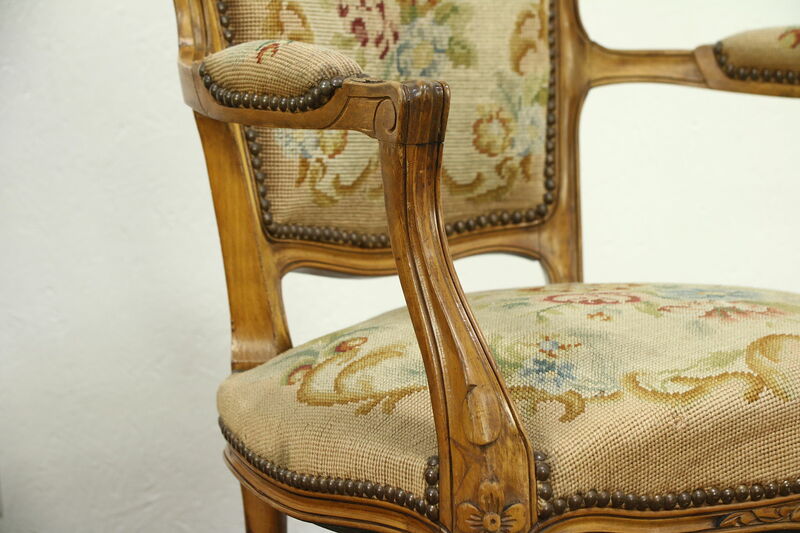 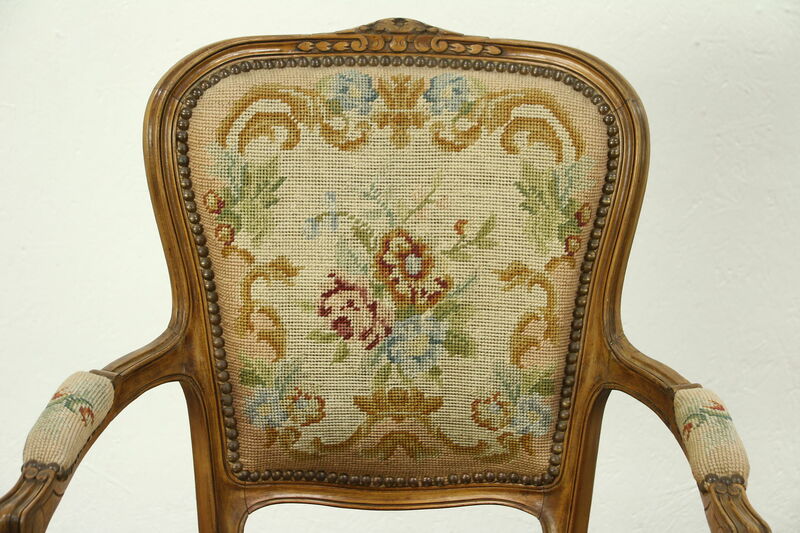 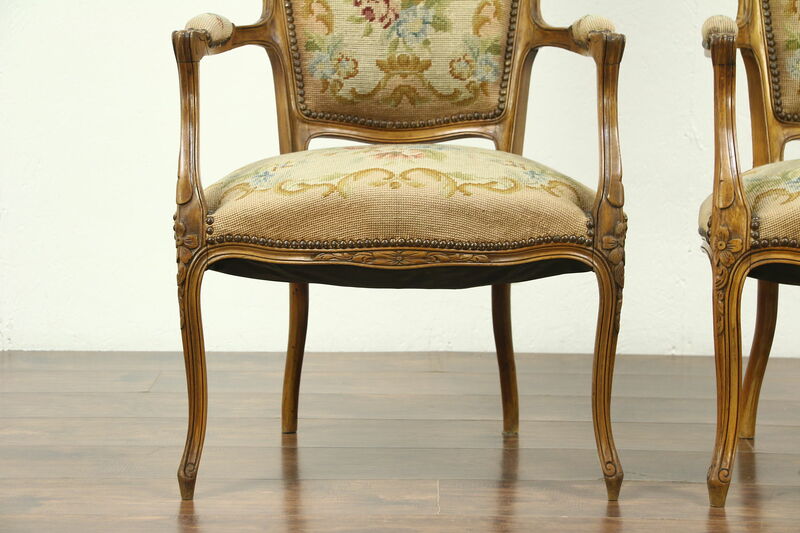 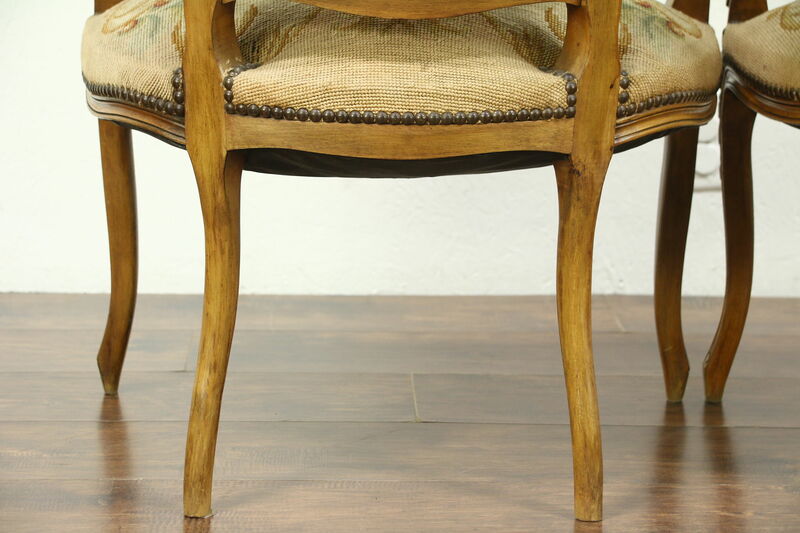 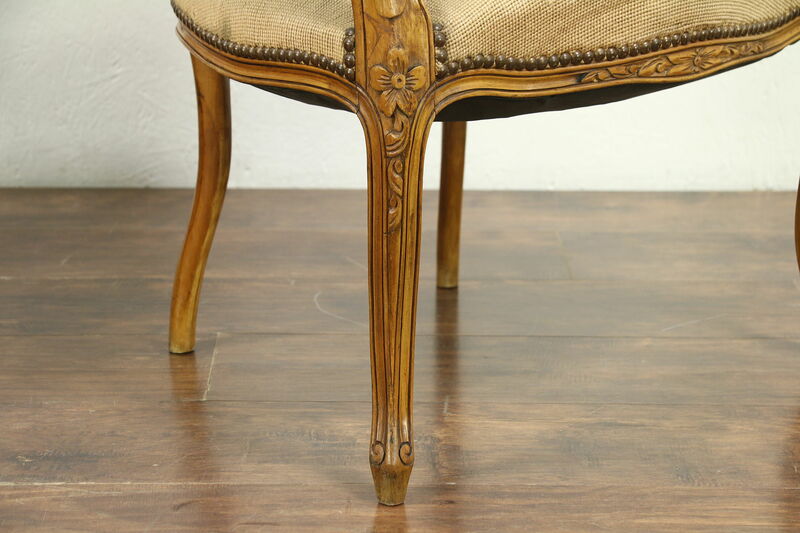 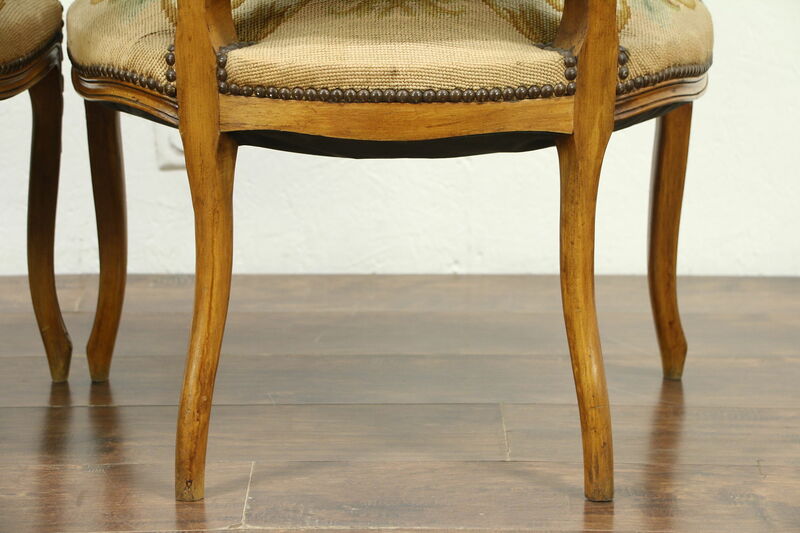 Graceful frames are strong and tight on this antique furniture from France. 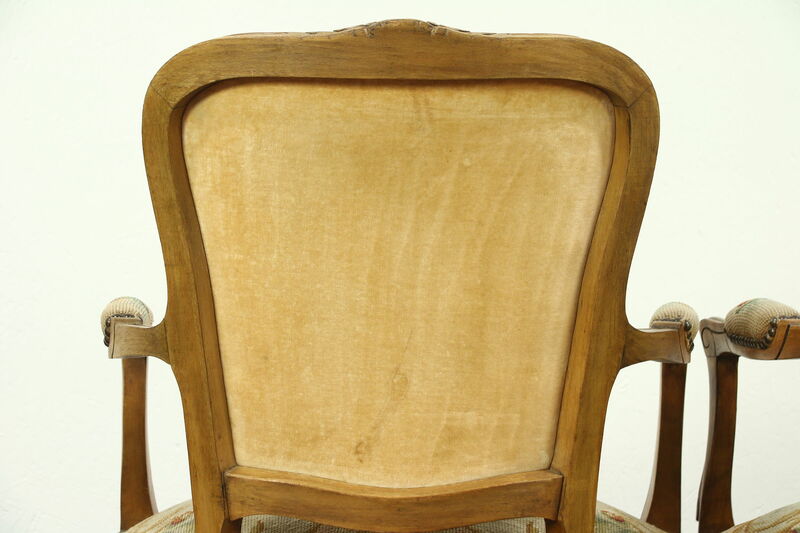 The finish is very well preserved. 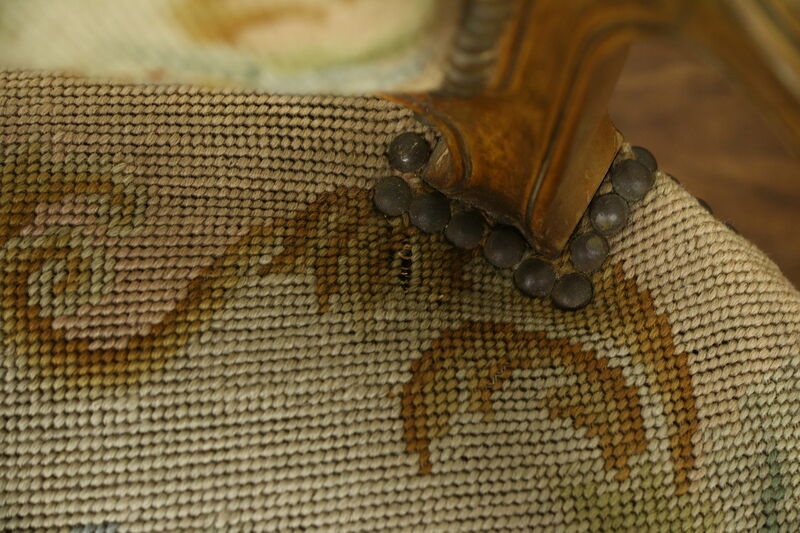 Springs are soft but supportive, fabric has some fading and wear. 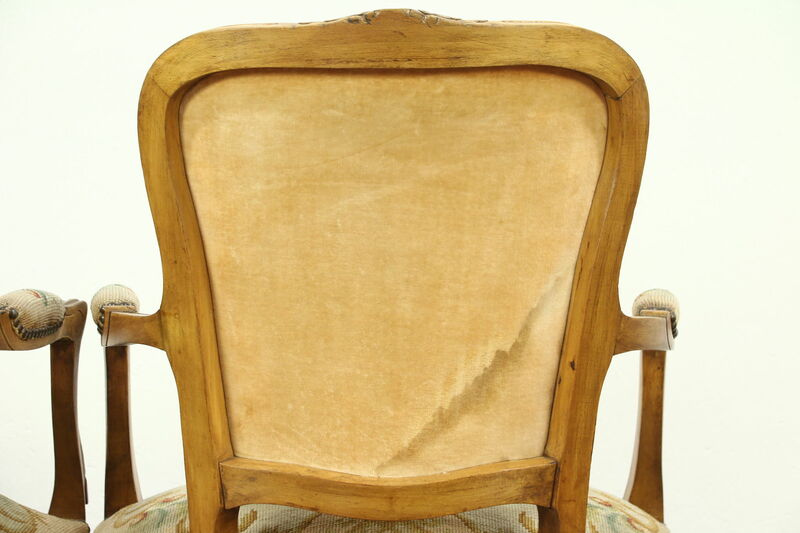 There are stains on the velvet backsides, see photos. 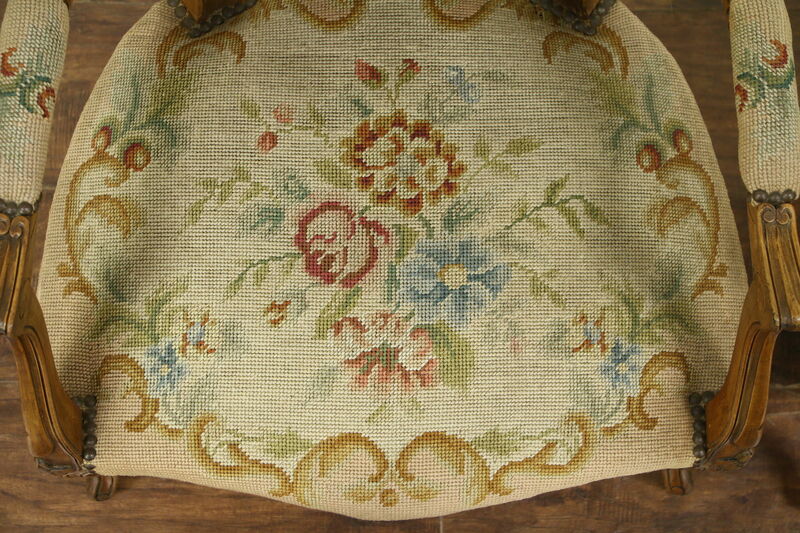 Measurements are 24" wide, 24" deep, 34 1/2" tall and seats are 17" high and 18" deep.